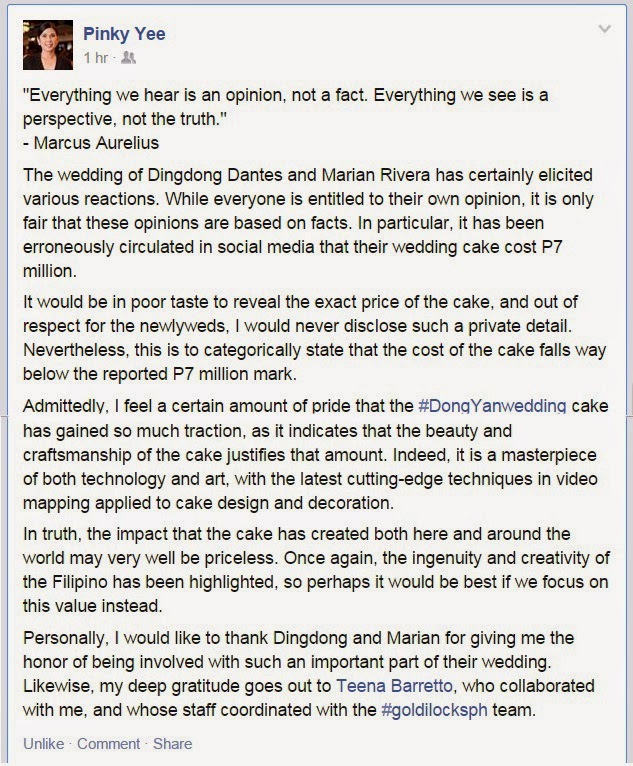 So much has been said and done for the enchanting #DongYanwedding, let alone for their massive cake, which created quite a stir in the social network. The 12 ft 3D, 5 tiered wedding cake was the groom's concept and was beautifully perfected by Goldilocks. Almost everyone speculated that the couple paid a whooping php7 million for the cake alone. Ms Pinky Yee, Goldilocks New Business Director released the following statement to put closure on the issue.